Dentures that feel as natural as they look. Patients with missing teeth or slipping dentures can now regain a natural smile and reliable dentures that function, look and feel great. Dentures are natural-looking replacement teeth that are removable. There are two types of dentures: full and partial. Whether is to replace single missing teeth or to secure a bridge, partial or full denture, at General and Cosmetic Dentistry of Tampa we analyze your case and will guide you on the best implant option that would place, restore and closely mimic your natural tooth structure. Full dentures are given to patients when all of the natural teeth have been removed. Partial dentures are attached to a metal frame that is connected to your natural teeth and are used to fill in where permanent teeth have been removed. Just like natural teeth, dentures need to be cared for. Use a gentle cleanser to brush your dentures, always keep them moist when they’re not in use, and be sure to keep your tongue and gums clean as well..
A complete denture prosthesis is offered to patients missing the entire upper or lower set of teeth. The number of implants that are need to support it depends on whether the prosthesis is fixed or removable. A removable prosthesis is connected to 4-6 upper jaw implants or 2-4 lower jaw implants by a bar or clip. You can remove the denture for cleaning. A fixed prosthesis is usually supported by 5 or more implants. The teeth are fitted to a frame that is attached to the implants by screws or clasps. As this permanent denture does not touch your gums with proper technique you can clean under it. It can be removed by your dentist. During the first year after your new prosthesis has been placed on the implants, it is necessary for our dental team to confirm that it fits well and works satisfactorily. Regular checkup appointments will usually be scheduled at 1-, 3-, and 6-month intervals in the first year. At these checkups, dental x-rays may be taken to examine the implant-bone relationship and rule out any disease. After the first year, follow-up examinations are usually necessary only once a year. 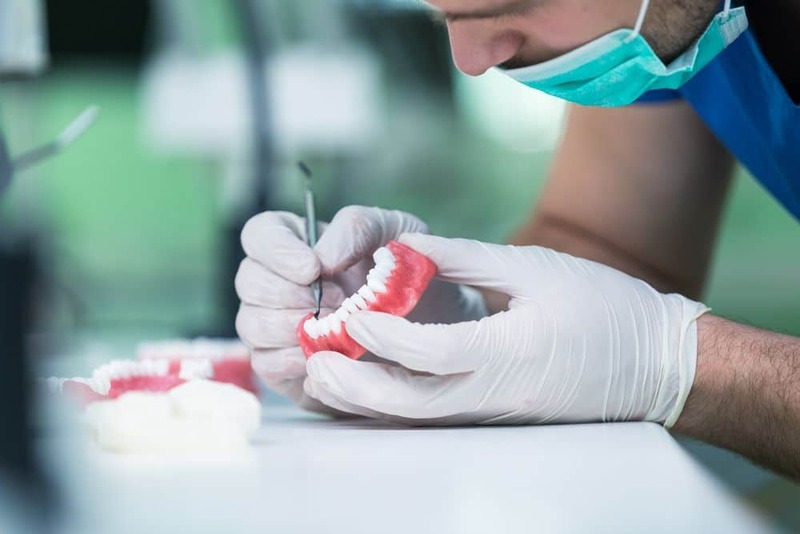 To learn if you are a good candidate for dentures, call us at (813) 540-7467 to schedule a consultation and see what kind of dentures would be the best fit for you.